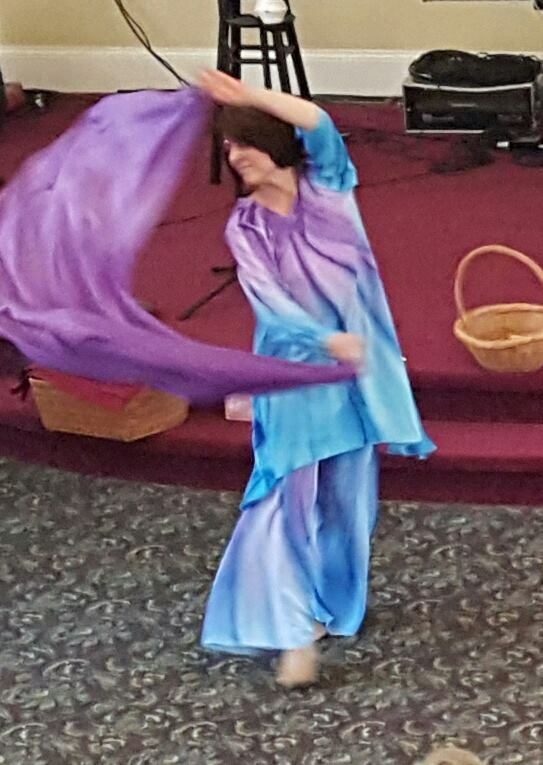 In addition to the singing of sacred songs and the use of instruments by the worship team ministry, other members of the congregation may wave beautifully decorated flags, raise colorful billows in praise to the Lord, or dance freely before the Lord. These are each unique ways to express our worship and love of Jesus Christ. Some may clap and raise their hands before the Lord. WorshipNMotion is an expressive dance team lead by June Pugliese. This team blesses the body through interpretive dance presentations.